Защита прав на товарные знаки и объекты интеллектуальной собственности. The Strategy of the Russian Federation for the period until the year 2020 (Decree No.2227-p of the Russian Federation Government) is innovative development. We have developed a free programme to ensure the reliable protection of the intellectual property rights. 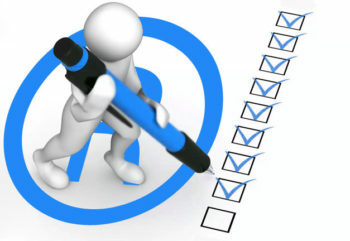 1.А preliminary expert evaluation of any infringement of intellectual property rights. 2.A pilot research (a survey of 50 residents of single city done within three days) allowing a preliminary prediction of the results of a full-fledged sociological survey. 3.Rapid audit check-up of the results of sociological research conducted by others. If you have any doubts about the techniques, logic or results of the conducted survey. 4.Checking the extent of prominence of a trademark which allows determining the possibility of its registration as a well-known trademark. 5.. We provide Seminars, including corporate format, on the subject “Practical application of sociological research to be used as evidence”. • compliance with public interests and moral standards. WHY SHOULD YOU NEED SUCH SERVICES? According to our research, many intellectual property owners are having concerns relating to whether their rights are being infringed upon in terms of confusing the means of identification. This could result in disputes with in a company and other companies as well. • relieving you and your staff of the necessity to spend time on making a decision if there is or is not a confusion of the means of identification. When ordering an audit check of a trademark for its well-known status, you get a forecast of the results and specific recommendations for further action. Sociological examination is a reliable tool for proving your stand in such disputes where the rightness of one of the parties is not obvious. We undertake the responsibility to ensure the results that you seek.